This song refers to Bible verses about the Lord's Supper. Matthew 26:26-29, Mark 14:22-24, Luke 22:14-20, 1 Corinthians 10:16-17; 11:23-29. The video portrays scenes of the Last Supper of Jesus Christ with His disciples that took place on what is known as Maundy Thursday. 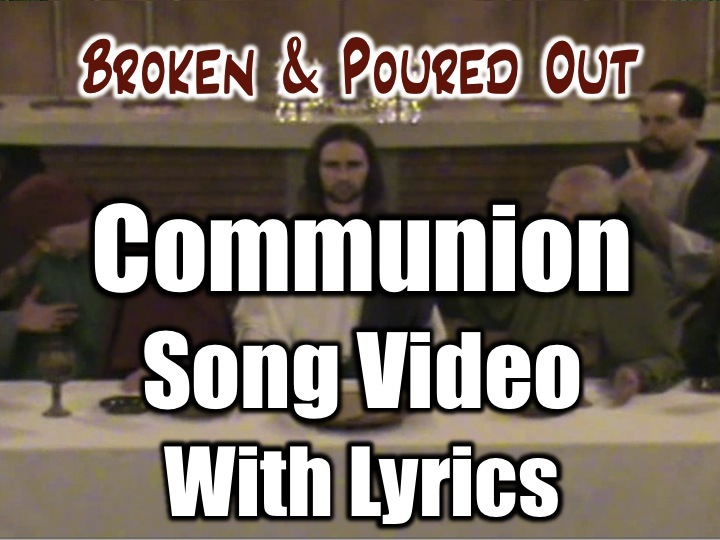 Click to download a lead sheet for Broken & Poured Out. Click below for a Free Song Download if you share on Facebook!! Spoken: "Our Lord Jesus Christ, on the night when He was betrayed, took bread and when he had given thanks He broke it and gave it to the disciples and said, "Take. Eat. This is my body which is given for you. This do in remembrance of Me."